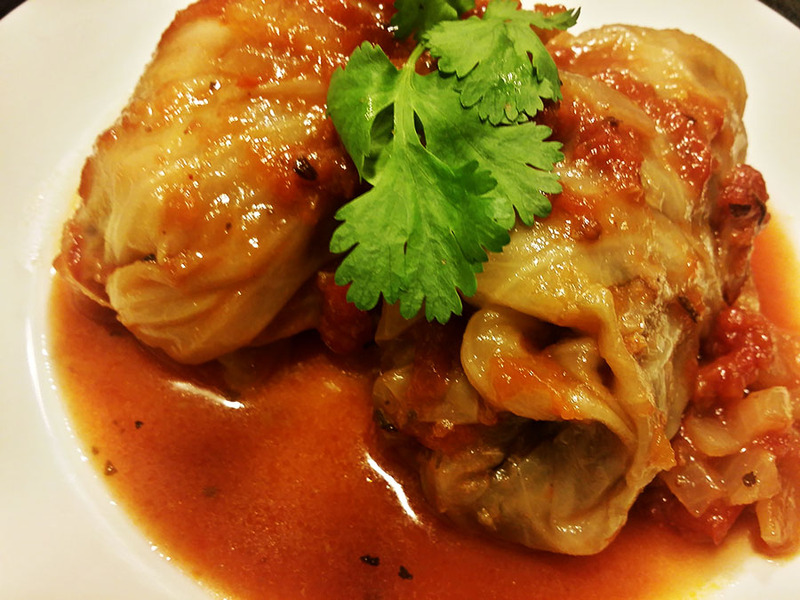 Category: Fenovani xachapuri, TOLMA STUFFED CABBAGE LEAVES. 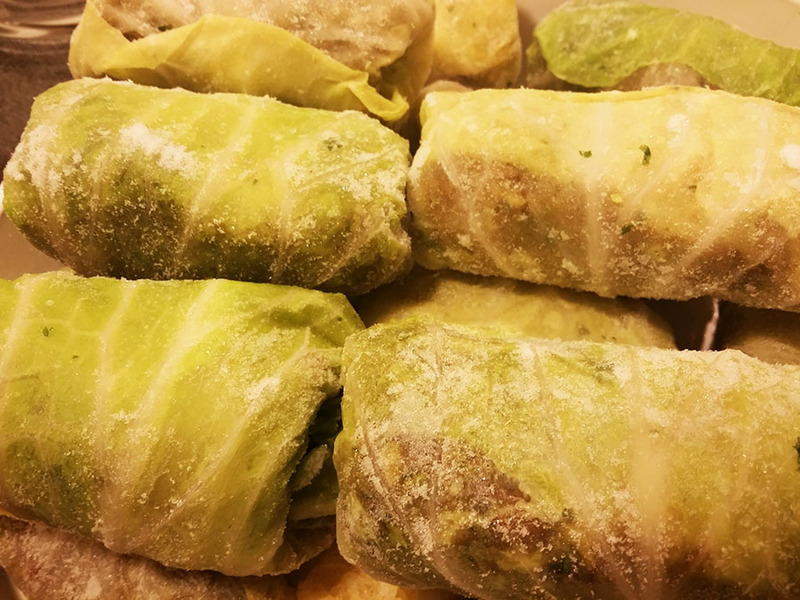 Tags: TOLMA STUFFED CABBAGE LEAVES. 12 pc tolma with sauce total of 72oz. . 6 12 oz (1.5 cup) portions. 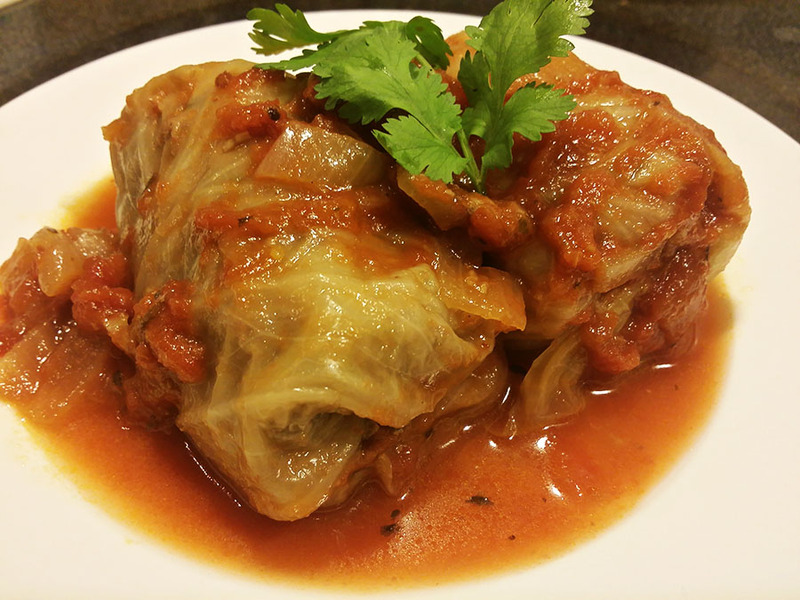 TOLMA – STUFFED CABBAGE LEAVES (Dolma, Pig in a Blanket) Tolma is very popular dish in Georgia, Armenia, Azerbaijan, Russia, The Caucasus, and many Balkan Countries as well as in Middle East, and Central Asia, with many variations. Fillings Wrapped in Cabbage Includes: Ground Beef, Rice, Fresh Onion, Fresh Garlic, Fresh Cilantro, Black Pepper, Salt. Sauce: Tomato Sauce, Tomato Paste, Olive Oil, Garlic, Dried Coriander, Bay Leaves, Black Pepper, Salt.